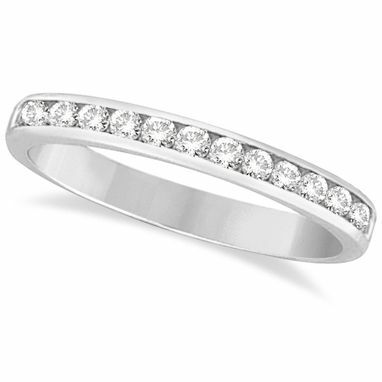 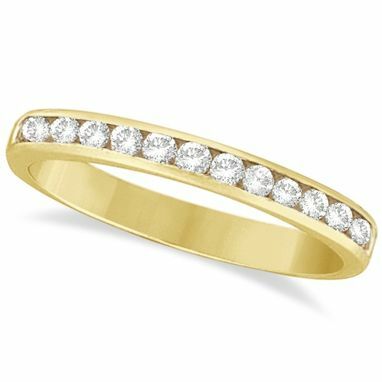 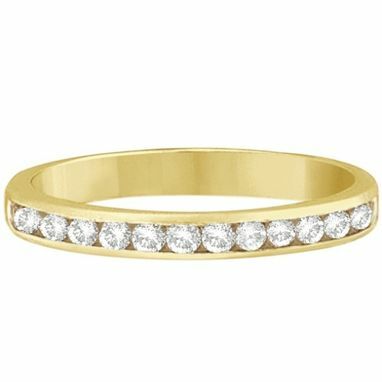 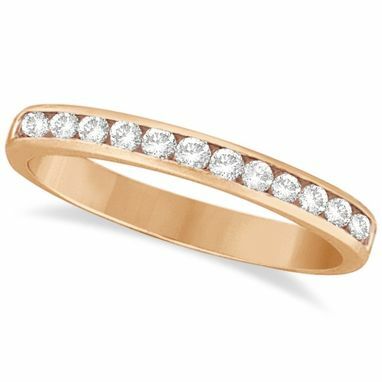 Twelve round diamonds of G-H Color, SI Clarity, are beautifully set in a 14kt yellow gold channel setting in this gorgeous band. 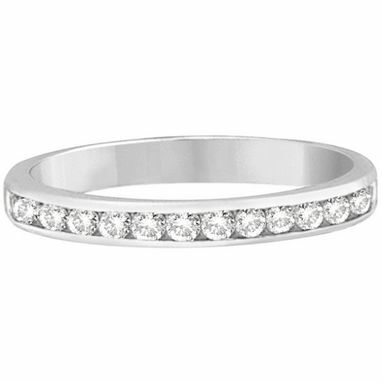 The stones are circling halfway around the ring. 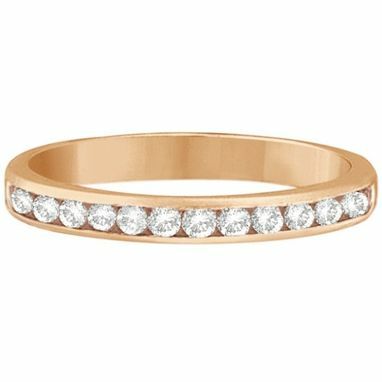 Wear it as a standalone right hand fashion ring, wear it as a wedding band, or as a stackable ring with our other stackable rings.